Where To Find Autumn Pizzas In L.A.
Crossroads is a vegan spot, so this is probably your healthiest option. 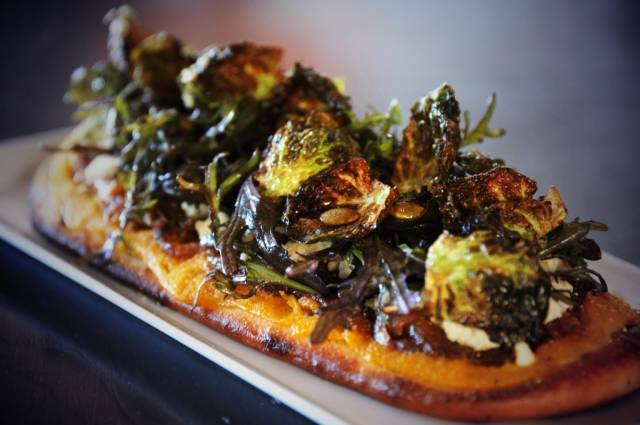 It looks more like a flatbread than a traditional pie, and features fall stunners like caramelized onions, spicy toasted pumpkin seeds, almond ricotta, crispy brussels sprout leaves, and mustard greens. 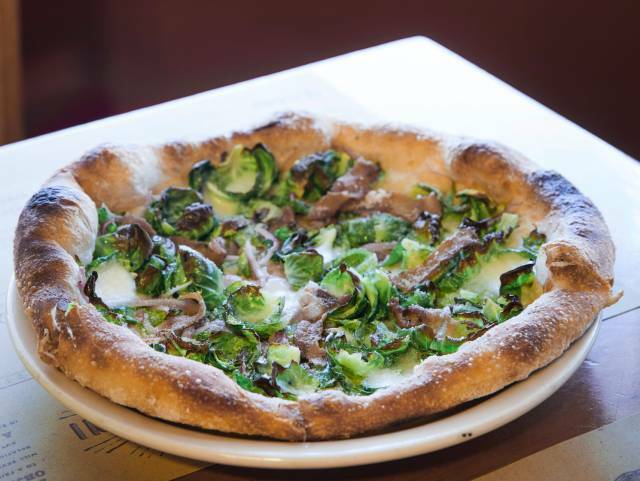 This one, from one of L.A.&apos;s best pizza spots, is a new addition to their menu featuring brussels sprouts, guanciale, red onion, and mozzarella. Nothing says autumn like tiny cabbages and pork cheeks. 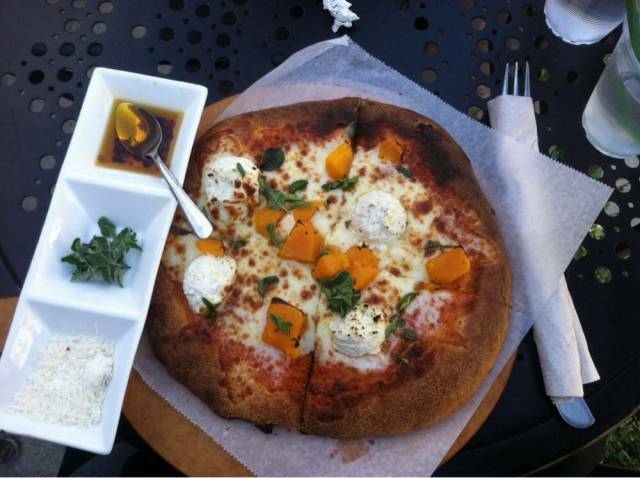 Urth&apos;s pie features tomatoes, mozzarella and herbed ricotta cheese, oregano, and giant chunks of butternut squash. It&apos;s edible gourd season, motherfuckers. Milo and Olive&apos;s Instagram game is seasonally strong right now, with a lot of pumpkins and orange hues making appearances. 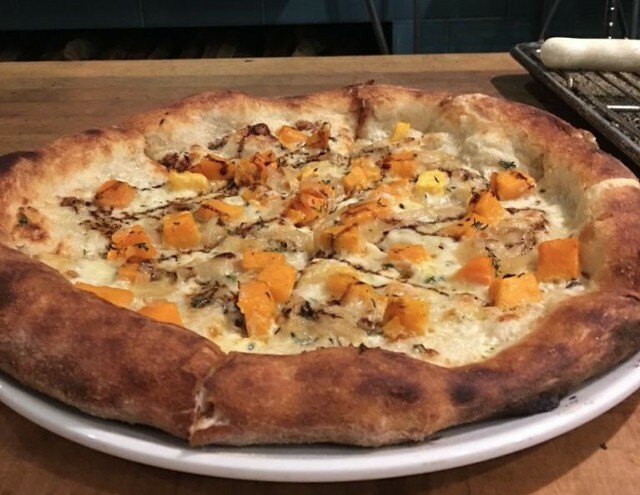 They&apos;ve brought this over to their pizza game, too, offering a butternut squash option that comes with caramelized onion, fontina cream, thyme, and aged balsamic. 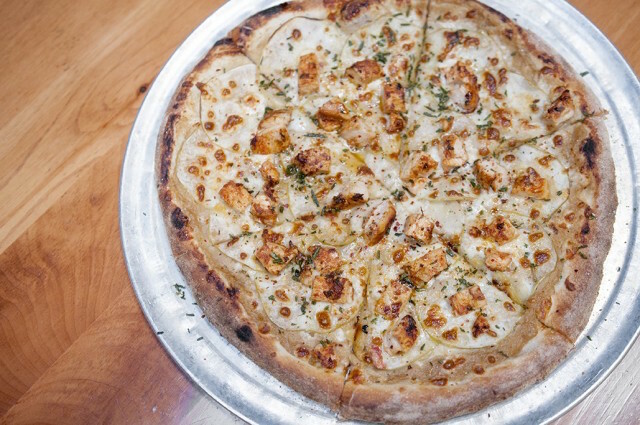 Making a brave move away from the popular butternut squash, Mohawk Bend is serving up an APPLE PIZZA. This is their October pie, and features grilled chicken, caramelized onions, rosemary, roasted apples, and mozzarella. These are all fine, if a little basic, so here are some things we would like to see in future Autumn Pizzas: a plaid pattern, yams and marshmallows, Ross&apos;s "Moist Maker" sandwich.